Generous Table is a kind of “how-to kit” for people who want to be able to throw any type of party in their own home. Containing lists, instructions, menu options, and tons of photographs, it eliminates stress and confusion and removes the intimidation factor of presenting beautiful meals. Heather has taken all of the guesswork out of entertaining by offering ideas for table settings, flowers, and a menu complete with tried-and-loved recipes. Generous Table is split up into four sections corresponding to the seasons. Each section features five sample menus for a variety of fêtes from the most casual to the most elaborate, including Early Spring Dinner, Game Night, Southern Housewarming, and Snow Day Lunch, along with special events like showers, anniversaries, and birthdays. 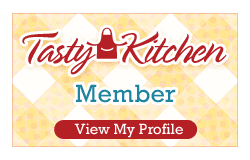 Every recipe, from Cheddar and Chive Scones with Red-onion Jam to BBQ Grilled Wild King Salmon with Apricot-mustard Glaze and Grilled Stone Fruit to Rustic Pear and Cranberry Crostata emphasizes fresh, seasonal ingredients. The book also includes Stylish Sidebars that tastefully correspond with each menu. In total, the book includes 105 recipes and about 20 sidebars with useful information such as “How to Set Up a Tasting Bar,” “Glittery Decorations for a Spooky Halloween Supper,” “How to Prepare a Brunch Ahead of Time.” Order the cookbook HERE. of Washington as an Arts major, and promptly left for culinary school in San Francisco. She attended the California Culinary Academy, Le Cordon Bleu, and graduated with honors. She was able to win an apprenticeship at one of San Francisco's top French restaurants, which turned into a job as pastry chef. 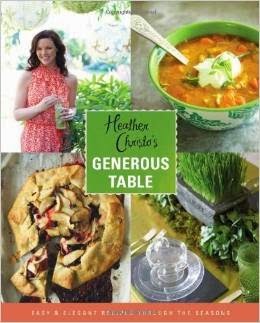 Heather soon returned to Seattle, where she opened her own catering company. She spent several years throwing spectacular cocktail and dinner parties as well as serving as private chef for her Seattle clients. 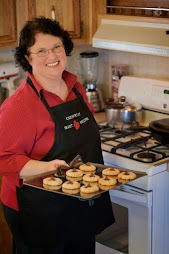 When Heather married in 2006, she hung up her chef's coat to start a family, and began her blog HeatherChristo.com dedicated to great food and entertaining. Heather and her husband Pete have been blessed with two beautiful young daughters, Olympia and Colette. When you don't find Heather in the kitchen with her husband, girls and friends then she is puttering in the garden with the dog or writing her blog.